I visited the elver trap at Ardnacrusha hydroelectric station on the Lower River Shannon in September 2017. The promised upgrades to the trap were never completed this year by the ESB. All they did here in relation to upgrading the existing trap was install the new climbing media. Despite all the promises and many days of free advice and site visits, no improvements were made in relation to increasing water supply to the trap which is of critical importance in a large tailrace. No work has started on the new traps. The trap was also not operational today (no water supply whatever) and it is not clear how long this has been the case – this is despite a commitment being made to operate the trap until the end of September. 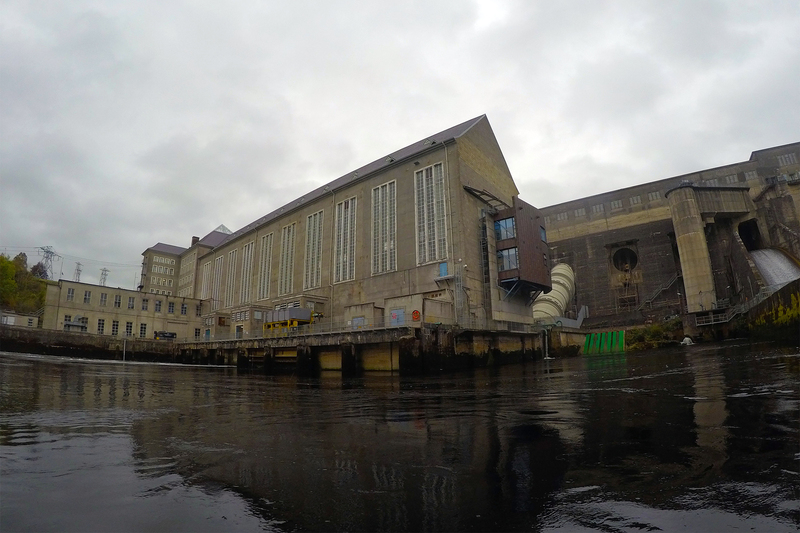 Ardnacrusha hydroelectric station, September 2017. Agreed elver trap upgrades not completed, trap not operating. The ESB are currently installing a boom across the upper tailrace to prevent boats accessing the area in the future. So this is the last year that any independent monitoring of the elver trap can be undertaken. There was no delay in installing this costly boom – yet the improvements that were agreed over many meetings have not been completed. This means that the elver traps still won’t be ready for next year’s elver run – four years after it was exposed that the ESB were not even operating a trap here. It has taken years of campaigning to get this far with the elver trap and all the ESB did was make the trap bright shiny green to create the illusion that things were being done. 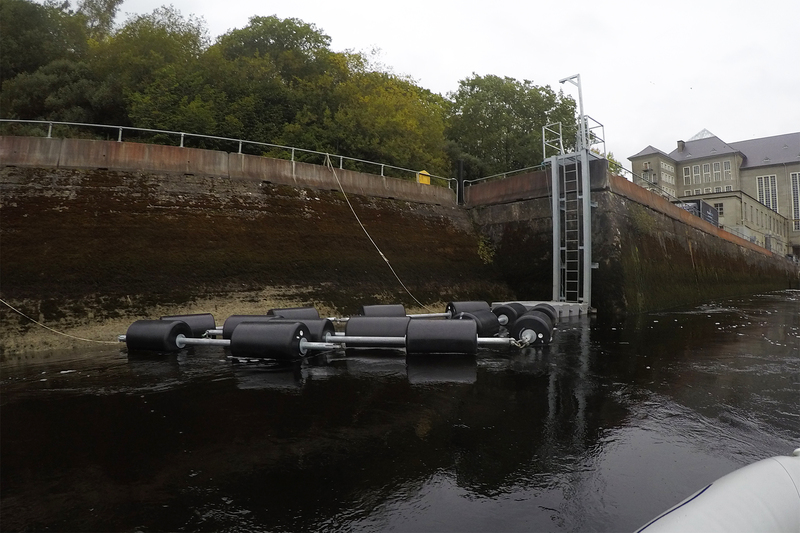 However, with no improvement in the water supply/attraction to this trap, no movement towards installing the other traps which were agreed, and boat access to the upper tailrace soon to be blocked, the prospect of improving eel recruitment on the Shannon may be fading away again. I requested a meeting with ESB over one month ago and nothing has been arranged. So there is an update for the Shannon. At the end of the day it seems as if the only really effort being made here by ESB is an attempt to frustrate the conservation campaigns. I’m sure they will have a right good laugh with their state fisheries colleagues at the success of this new boom!